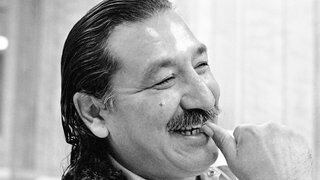 Chair of Standing Rock Sioux Calls on Obama to Free Leonard Peltier | Democracy Now! David Archambault, the chairman of the Standing Rock Sioux Tribe, has become the latest high-profile figure to urge President Obama to grant clemency for Native American activist Leonard Peltier who has been imprisoned for 40 years. “You have appreciated, more than any other President in recent memory, the tumultuous history of Native Americans, and the tragic events derived from that history,” Archambault wrote to Obama.